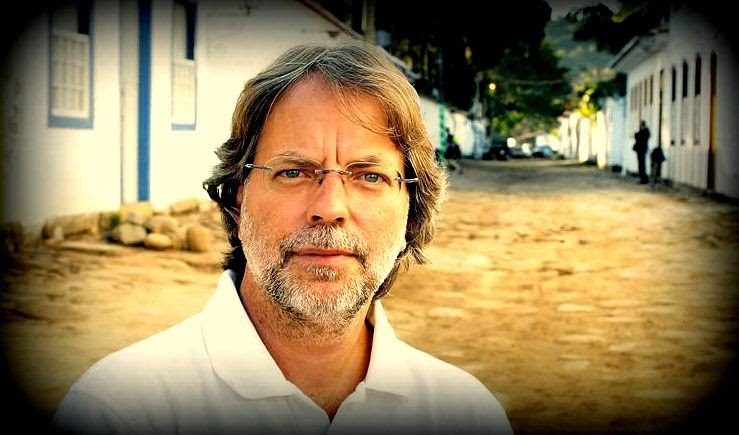 Mia Couto, whose forthcoming collection of nonfiction Pensatives: Selected Essays (available from Biblioasis in Canada on June 15th and in the US on July 14th) is an environmental biologist from Mozambique, is the author of 25 books of fiction, essays and poems in his native Portuguese. In 2014 he received the $50,000 Neustadt Prize for Literature, and in 2015 he was shortlisted for the Man Booker International Prize. On April 18th, 2015, the editor of the Mozambique News Agency, Paul Fauvet, posted an English translation of author Mia Couto’s open letter to South African President Jacob Zuma concerning the killing of foreigners in his country. We think that some of you might be interested in reading Couto’s response to the killings in South African, which we’ve included below. You can also read more about the situation in this article from The Guardian. We remember you in Maputo, in the 1980s, from that time you spent as a political refugee in Mozambique. Often our paths crossed on Julius Nyerere Avenue and we would greet each other with the casual friendliness of neighbours. Often I imagined the fears that you must have felt, as a person persecuted by the apartheid regime. I imagined the nightmares you must have experienced at night when you thought of the ambushes plotted against you and against your comrades in the struggle. But I don’t remember ever seeing you with a bodyguard. In fact it was we Mozambicans who acted as your bodyguards. For years we gave you more than a refuge. We offered you a house and we gave you security at the cost of our security. You cannot possibly have forgotten this generosity. We haven’t forgotten it. Perhaps more than any other neighbouring country, Mozambique paid a high price for the support we gave to the liberation of South Africa. The fragile Mozambican economy was wrecked. Our territory was invaded and bombed. Mozambicans died in defence of their brothers on the other side of the border. For us, Mr President, there was no border, there was no nationality. We were all brothers in the same cause, and when apartheid fell, our festivities were the same, on either side of the border. For centuries Mozambican migrants, miners and peasants, worked in neighbouring South Africa under conditions that were not far short of slavery. These workers helped build the South African economy. There is no wealth in your country that does not carry the contribution of those who today are coming under attack. For all these reasons, it is not possible to imagine what is going on in your country. It is not possible to imagine that these same South African brothers have chosen us as a target for hatred and persecution. It is not possible that Mozambicans are persecuted in the streets of South Africa with the same cruelty that the apartheid police persecuted freedom fighters, inside and outside the country. The nightmare we are living is more serious than that visited upon you when you were politically persecuted. For you were the victim of a choice, of an ideal that you had embraced. But those who are persecuted in your country today are guilty merely of having a different nationality. Their only crime is that they are Mozambicans. Their only offence is that they are not South Africans. The xenophobia expressed today in South Africa is not merely a barbaric and cowardly attack against “the others”. It is also aggression against South Africa itself. It is an attack against the “Rainbow Nation” which South Africans proudly proclaimed a decade or more ago. Some South Africans are staining the name of their motherland. They are attacking the feelings of gratitude and solidarity between nations and peoples. It is sad that your country today is in the news across the world for such inhuman reasons. Certainly measures are being taken. But they are proving inadequate, and above all they have come late. The rulers of South Africa can argue everything except that they were taken by surprise. History was allowed to repeat itself. Voices were heard spreading hatred with impunity. That is why we are joining our indignation to that of our fellow Mozambicans and urging you: put an immediate end to this situation, which is a fire that can spread across the entire region, with feelings of revenge being created beyond South Africa’s borders. Tough, immediate and total measures are needed which may include the mobilization of the armed forces. For, at the end of the day, it is South Africa itself which is under attack. Mr President, you know, better than we do, that police actions can contain this crime but, in the current context, other preventive measures must be taken. So that these criminal events are never again repeated. For this, it is necessary to take measures on another scale, measures that work over the long term. Measures of civic education, and of exalting the recent past in which we were so close, are urgently needed. It is necessary to recreate the feelings of solidarity between our peoples and to rescue the memory of a time of shared struggles. As artists, as makers of culture and of social values, we are available so that, together with South African artists, we can face this new challenge, in unity with the countless expressions of revulsion born within South African society. We can still transform this pain and this shame into something which expresses the nobility and dignity of our peoples and our nations. As artists and writers, we want to declare our willingness to support a spirit of neighbourliness which is born, not from geography, but from a kinship of our common soul and shared history.